You Guys!!! It's time for Halloween!! We have the coolest product to share with you guys, just in time for the creepiest of holidays! 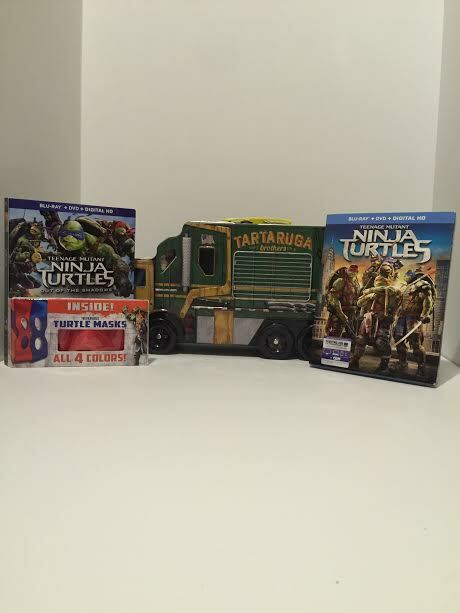 The Teenage Mutant Ninja Turtles gift set is perfect for a special Halloween treat for the TMNT fan in your life! 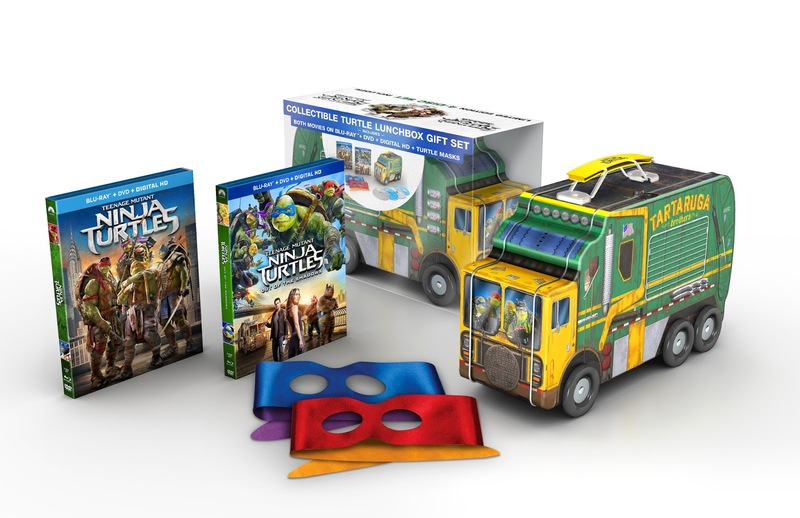 First of all, the gift set comes with a BluRay Combo Pack of BOTH TMNT films, Teenage Mutant Ninja Turtles, and Teenage Mutant Ninja Turtles: Out Of The Shadows! 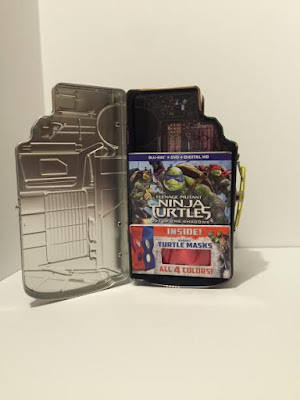 It also comes with two double sided ninja masks (all four turtle colors! ), which are perfect for awesome DIY costumes! It also comes with (my favorite part!) a collectible metal Turtle Lunchbox which can also be used for trick or treating. LOVE this gift set! 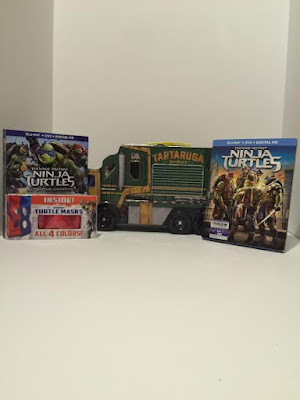 We have a whole entire house full of TMNT lovers, both guys and girls, big and small, and this gift set has most definitely been well received around our house! 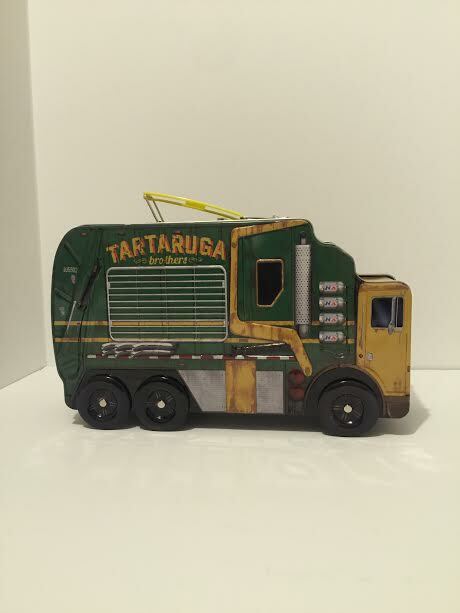 Love, love love this gift set, and love both of the movies as well! The kids have been huge fans of the first movie, and were very excited to be able to finally check out Out Of The Shadows as well! They loved it too, and being a huge fan of the original series, I was happy to see BeeBop and RockSteady back on the screen too! The boys LOVED seeing the villains that they have come to love from the Nickelodeon series in "real life" as they say. This is an amazing gift set for the TMNT fan on your list, and not only would it make a great Halloween treat, but it would be a great holiday gift as well!If you are interested in buying one of these awesome gift sets of your own, click here!